How to magnify your brand on Instagram | APEX Public Relations Inc.
What’s your personal brand? Do you stress over finding the perfect filter or how to crop your taco photo from last night’s fiesta before you post to Instagram? I do! I capture my favourite foods, scenic shots and everything in between. I would be lying if I said Instagram wasn’t the first thing I check when I wake up and the last thing I flip through before bed. Don’t lie…you all shamelessly agree! Instagram has become more than just an app for sharing photos. It’s where brands expose themselves to their worshipping, gadget-loving, Instagramming groupies. So you wonder, how do these brands attract 10 million followers with a simple shot of their grilled cheese or latest pair of denim overalls? Instagram has the ability to make your audience feel as though they are part of something BIG. Know who follows you. Top brands know their audience. They know exactly who they are, what they care about, and what they will “like” on this platform. Don’t be a robot. All posts have some sort of human element that allows their followers to relate to the brand. You’re more likely to follow a brand that writes comments and captions that are honest and incorporate some humility, right? Inspire! Their photos and videos aim to inspire action in their followers. Inspiring customers to go out and purchase the latest blazer from a brand’s spring collection, or to visit a restaurant – because that burger picture was just that good. You have worked to build your profile on Twitter and establish your brand on Facebook – now turn to Instagram for a unique, creative and Insta-fantastic way to engage your audience and show your stuff. 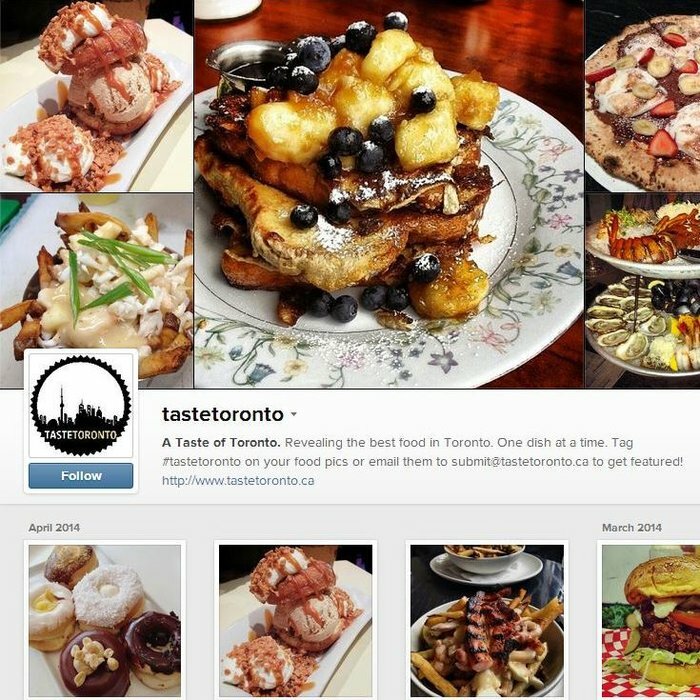 Taste Toronto reveals the best food in the city from hungry consumers across the GTA. It will keep you on your toes for what to try next on your big night out! Holt Renfrew shares photos from in-store to the runway, keeping their followers in the know with what’s on-trend this season. Rachel Brathen (@yoga_girl) is an inspiring yoga instructor who hosts yoga retreats in the most beautiful beaches around the world. Once you follow her, you will want to know more about her practice and even sign up for a retreat! Me? Like I said, I’m a foodie. 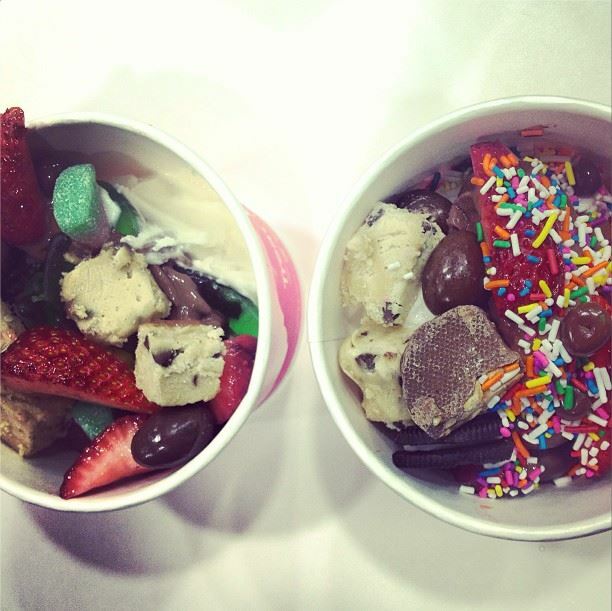 Who wouldn’t want to go splurge on a cup of froyo after seeing this post. Caroline Dunnet follows her favourite restaurants, style experts and yogis. Check out her Instagram. APEX loves Instagram too. Follow us here.